The Turbo Chronicles - These nineteen articles with photos, three dyno charts, and ET chart are gleaned from 28 years and 140,000 miles of Yamaha Turbo ownership. Installing a K&N air filter, following Team Turbo, meeting other clubs' members, reviewing all the Turbos, attending Turbo Rallies, revealing dyno truths about turbos, and sharing what's been learned from many years and even more miles of turbo ownership are some of the subjects covered on this CD. Thanks a lot Bob! Really appreciate it. 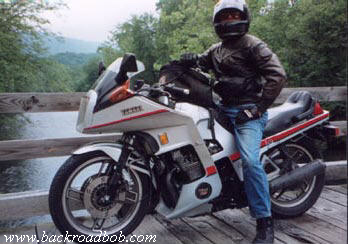 I've enjoyed reading your articles - although they reinforced my regret over selling my CX500 Turbo! Hope to see you on the road sometime. Best. - Lou L.